Jamming has become one of my jams in the past few years. Preparing the fruit, cooking and stirring, water-bath canning – it’s all so very gratifying, and there’s nothing like Strawberry Jam made with the most amazing Oregon strawberries the world has seen/tasted. 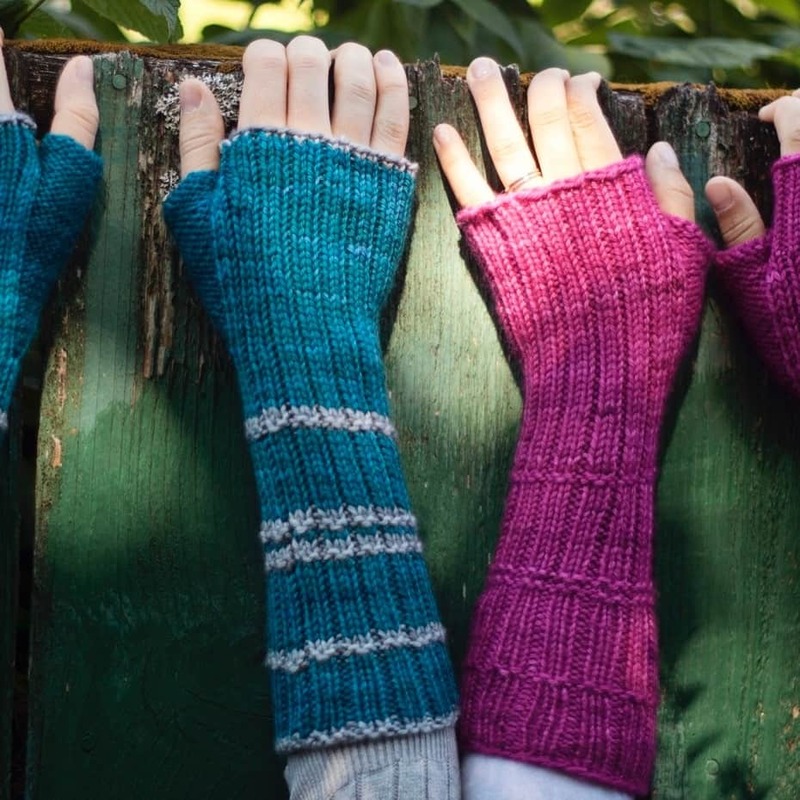 The colors of these mitts remind me of beautifully ripe summer berries, and the mitts themselves are fun and simple enough to allow my mind to dream of new jam flavors as I knit. As an added bonus, they are completely reversible. Finished Measurements: Small (Medium, Large) – 3.5” (4”, 4.5”) across hand (measured above base of thumb but below knuckles). Yarn: approximately 125-175 yards of worsted-weight yarn. For two-color mitts, substitute 25 yards of color B. I used Knitted Wit Superwash Merino Worsted. 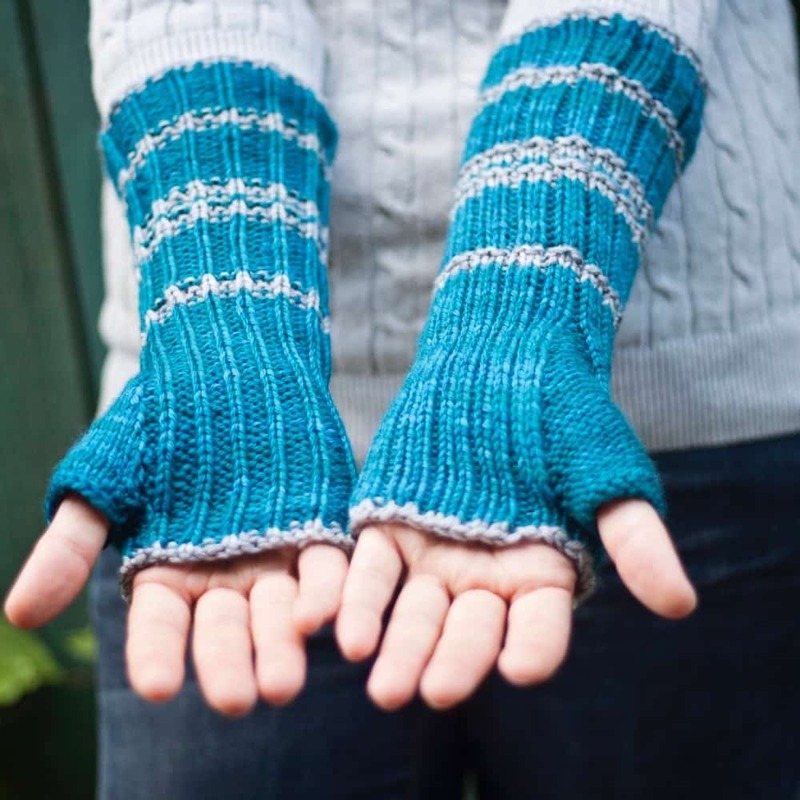 Two-color mitts shown in colorways Buckle My Shoes (color A) and Silver Lining (color B). One-color mitts shown in colorway Raspberry Milkshake. Needles: US6/4mm needle for small-circumference knitting, or size needed to get gauge. Notions: waste yarn, stitch markers, tapestry needle.